Each month, Charles Crutchfield III, M.D. 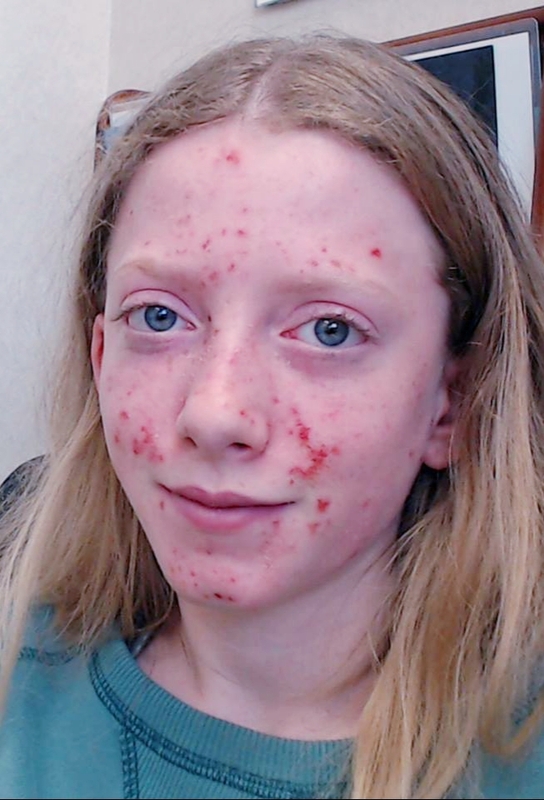 presents a dermatology issue that he has personally diagnosed and treated. You have the opportunity to review the case, and see if your diagnosis is correct. What's wrong with this woman's scalp? What's wrong with this man's eyes? What happened to this woman's face? What is this rash a woman got after visiting a cow barn at the State Fair? What's wrong with this woman's lips? What is this odd bump on a baby's bottom? 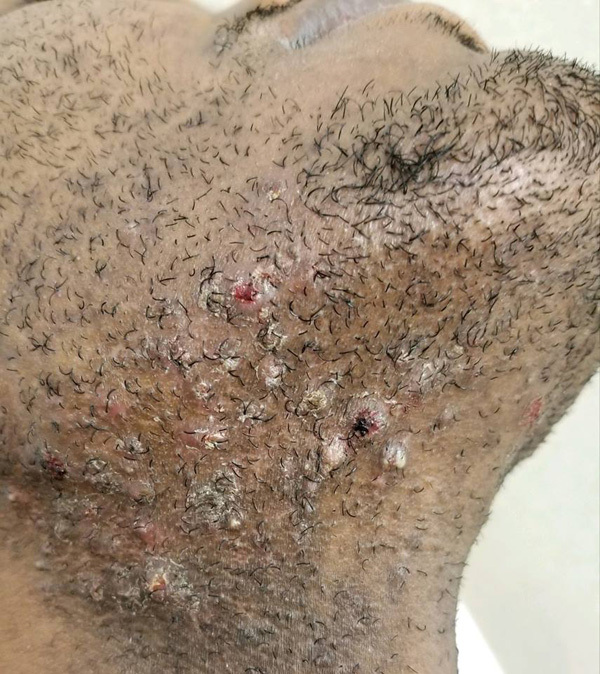 30 year old man with a 3+ year history of painful, draining papules and nodules on his neck and chin. It seems to get worse with shaving. What is wrong with this girl's face? 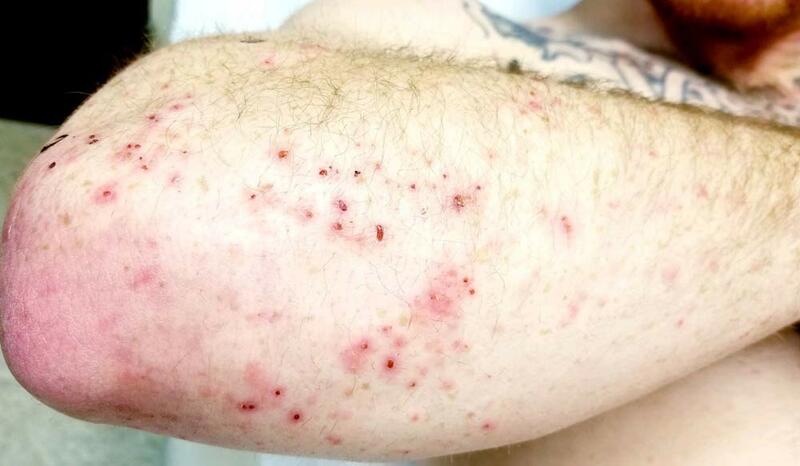 What is the odd rash on this man’s arm? 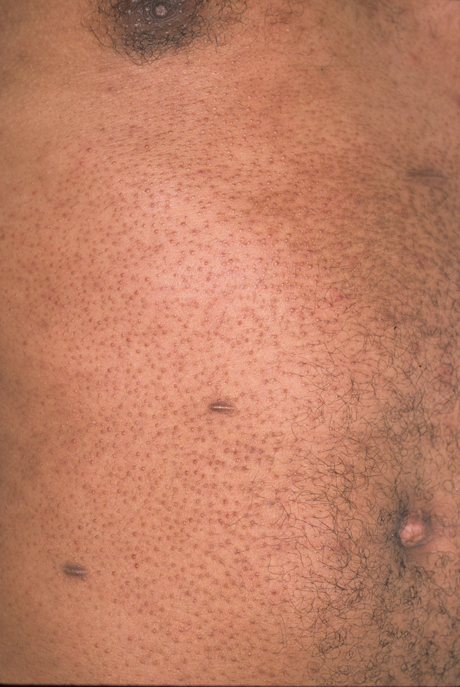 Do you know what this Papular rash is? 25 year old diabetic woman has yellow waxy patches on her shins. What are the bumps on this woman's heel? What is this bumpy rash around her mouth? A 47 year old woman presents for the evaluation and treatment of dark patches on both of her cheeks. A 59 year old man developed a red itchy rash on his lower leg after traveling to Arizona and staying with a friend who had adopted a new cat from the local shelter. Infant with papules and pustules on feet. What is your diagnosis? Pruritic and Urticarial Papules and Plaques of Pregnancy, commonly referred to as "PUPPP"